Protect the factory finish of your fenders from the impact of flying rocks,mud and other road hazards with our durable custom fitted Mudguards. 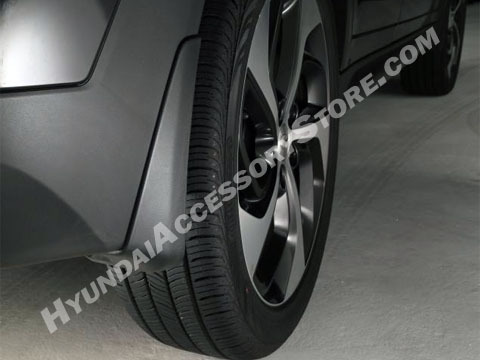 These mud guards fit and are installed with existing screws and hole pattern. There will be screws in the package in case your vehicle does not have them. You will need a short #2 Phillips screwdriver and you will have to pop out a plastic body fastener on the rears. Pretty easy though.